Snuck in a Friday morning surf after seeing conditions have been fair with some NW and SW swell. Two girls parked next to me and felt bad for one of them who hit her face with her board and was getting a big bump. Told her to get ice on it right away and don’t be surprised if it swells again in the next couple of days. Lots of people grouped in the middle peak by the main lot but only a handful of folks on the south end, which looked a lot cleaner to me.By the time I paddled out, only a few surfers were in that spot. Chill guy with the single fin black board and I traded waves for the next hour. Some wind, some fog. Got a bunch of sweet, long rights with a more power than last week. Watched clocked one at 7.5mph which is pretty good for LM. Really needed the head-clear and some peaceful time in the ocean. Stoked. 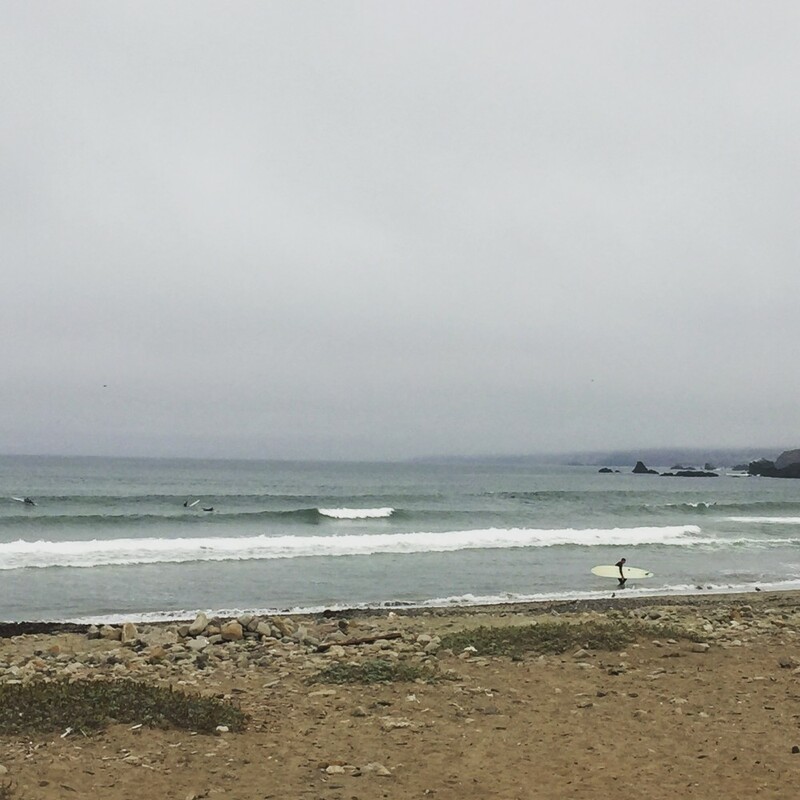 Afternoon Report for SF-San Mateo County: Decent NW windswell mixes with a nice, mid-sized SW swell to offer waist-shoulder high+ surf to good exposures, while standouts see some head high or better sets. Winds are moderate from the WSW now, adding a bit of texture and crumble to otherwise very rideable conditions. Tide is rising from a 3.19′ at 11:23AM.